The Bone Keepers is book three in a historical conspiracy thriller trilogy. There are no cliffhangers, so one can read each book and get a very satisfying story with each one, independent of the others. Like many books in this genre, sometimes called the "Dan Brown" genre, the Catholic church plays a central role, as do long held secrets. The story moves through time to recount the backstory to the main story that unfolds in and around Rome, Italy, in the year 1943. The reader visits Judea in AD 13 and 60, Italy in the 1930s and then the 1950s, Galilee in the year 33, and Oxford, England, in 1943. England is where the searchers of the secrets, two British spies, are recruited for their assignment. In this trilogy, the spies are fictionalized versions of real people: spies and later authors Ian Fleming and Tolkien. Who was a bone keeper? 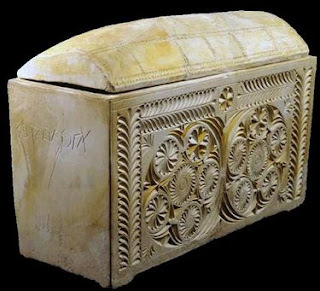 The reader learns that a bone keeper in the ancient world was someone who arranged a burial, then later collected the deceased's bones and put them in an ossuary, a bone box, inscribed with the person's name and family name. The ossuary was then usually stored by the family. I'm not giving anything away that isn't in the book's spoiler description, when I can say that the bone keepers of the title, are hereditary keepers of the bones of the Christ. Yes, Christ rose from the dead, and doubting Thomas felt the proof that resurrected Jesus included his bones. And the women by the tomb of Christ, that was borrowed from Joseph of Aramathea, attested to the fact that the resurrected Christ left nothing behind in the tomb. That means that the religious grounding of the book could be considered blasphemy by some, or just a bit weak by others. Most readers of these books, however, read them with a wink and a nod, forgiving those things in the name of entertainment. The authors have done their research on the real people who are the inspiration for their fictionalized spies, Tolkien and Fleming. They use the truth to bring entertaining verisimilitude to the fiction. 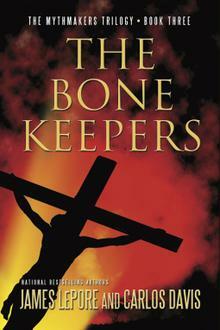 They also use the men's fiction to add familiar elements to The Bone Keepers relating to the two men. There are sexual scenes in the book, which is for adult readers. The female character reads at times realistically, but also at times she stretched my credulity as a female reader. The writing is fluid, and the editing is well done. There is much invention and entertaining suspense in the book, which will surely please lovers of this genre. 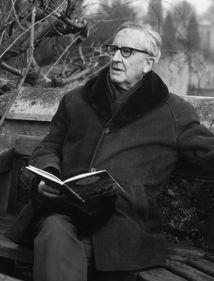 The use of Tolkien and Fleming as characters in the book(s) is something that fans of those men's fiction might enjoy. The authors provide a satisfying ending to this spy, buddy adventure, romance and religious story, all wrapped up in the historical conspiracy genre. It is Rome, 1943. The war in Europe is at a tipping point, but the direction in which it will tip is terrifyingly unclear. For either side, one dramatic initiative could change everything. 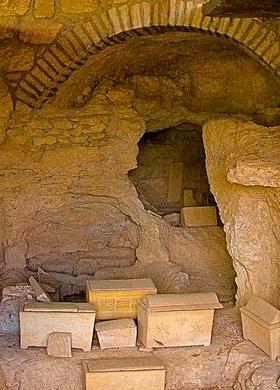 It is under these conditions that the Nazis discover a secret that has been maintained for nearly two millennia – that the bones of Christ have been guarded in a cave in Italy by a small, secret group. If the bones can be uncovered, Hitler believes he will be able to use them to topple Christianity and turn the war irreversibly in his favor. The clues to the location of the bones or the people protecting them are scarce. 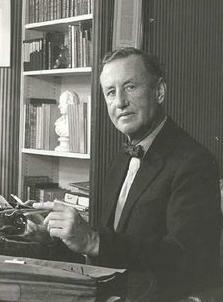 MI-6 agent Ian Fleming and scholar J.R.R. Tolkien – working in tandem once again at the behest of the British government – must spearhead a hastily assembled team, including an alluring prostitute, to piece the clues together before the Nazis try to turn humanity on its head. The conclusion of the stunning trilogy that began with the national bestseller NO DAWN FOR MEN and continued with GOD'S FORMULA, THE BONE KEEPERS is literary entertainment of the first order. Please visit author James Lepore's website.